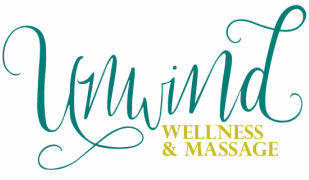 Therapeutic Massage - $65/hr* or $85/90 min. Each massage session is tailored to the needs of the client. Therapeutic massage combines Swedish, deep and sports massage techniques to best meet the client's needs. Whether it is focusing on relaxation or a targeted area of tension, your massage therapist will spend a few minutes at the beginning of the session speaking with you to determine the best methods to use during the session. Depending on the client's needs, heat may be used on certain areas to ease tension. 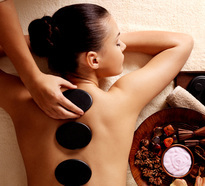 River Rock massage sessions use oil and warmed river rocks to perform long flowing massage strokes. This is not a deep massage, but a gentle massage to aid in relaxation of body and mind, while the heat gently releases tension within the body. This focused massage will help relieve tension from head to toes to help recover from the weekly grind. This targeted massage will include scalp, neck, shoulder and foot massage. We know your body is adjusting as your little one grows each day. Find some comfort and reprieve from the soreness and aches with a prenatal massage. We adjust positioning to what is best for your body and use pregnancy safe techniques to keep you and baby safe. Reiki is a Japanese technique for stress reduction and relaxation that also promotes healing. Reiki is a gentle treatment. It is energy healing for your mind, body and spirit. Like yoga, meditation and Tai Chi, Reiki balances your energy systems. During the session, the client lays on the massage table fully dressed while the therapist allows the energy to flow through your seven Chakras. Reiki is beneficial for reducing stress, releasing emotions, gaining clarity, decreasing anxiety and fear, increasing feelings of positivity and contentment.